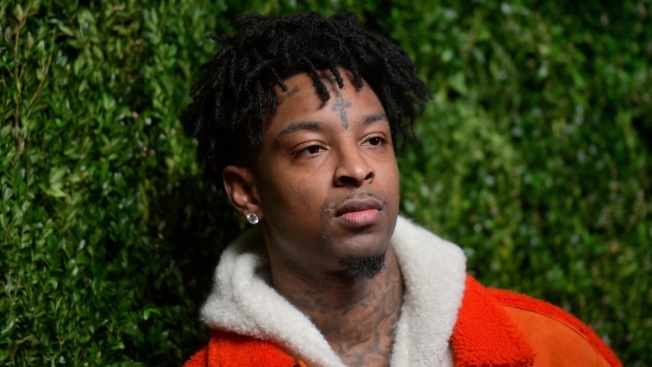 Immigration authorities were trying to "unnecessarily punish" and "intimidate" 21 Savage into giving up his fight to remain in the United States, his lawyer said Monday, as the rapper faces deportation and potentially a 10-year ban from reentering the country, NBC News reported. The U.K. national, whose real name is She’yaa Bin Abraham-Joseph, “never hid his immigration status” from the U.S. government and has a pending U visa as the victim of a crime, his attorney, Charles Kuck, said in a statement. The musician has U.S.-born children whom he supports, which could make him eligible to stay as well, Kuck said. Abraham-Joseph, 26, was taken into custody Sunday in the Atlanta area for allegedly being in the country illegally, the U.S. Immigration and Customs Enforcement said in a statement.